Wentworth, Sunshine, Rosehaven and Home and Away were amongst wins at the Australian Directors’ Guild Awards in Melbourne last night. Director Fiona Banks won two awards for Best Drama Series and Best Children’s Drama. Actor / Director Simon Baker won the Feature Film award for his feature directorial debut Breath. The awards were hosted by Susie Youssef at the Sofitel Melbourne on Collins.Presenters included Kat Stewart, Xavier Samuel, Adam Elliot and Michala Banas. Director / Cinematographer Ray Argall was the recipient of the Cecil Holmes Award. TV winners are in bold. A good night for Fiona Banks. It’s a shame that the category doesn’t allow for the team of directors to be nominated collectively. 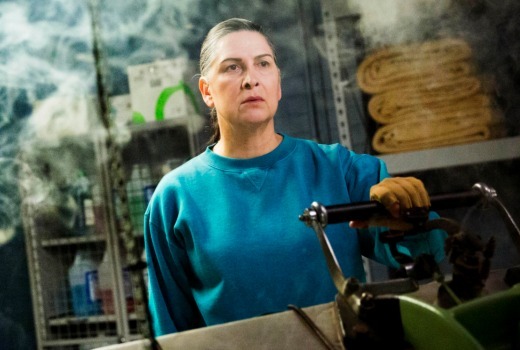 Wentworth is a really well made show and across a series there are so many excellently executed sequences. The Emmy’s have a bizarre system where multiple eligible entries per series can be submitted resulting in several different director or writers nominated in a given year for the same show.